Our classic Greek Hoodie. Start your Greek Apparel collection and represent your Fraternity or Sorority with this custom pullover hooded sweatshirt. 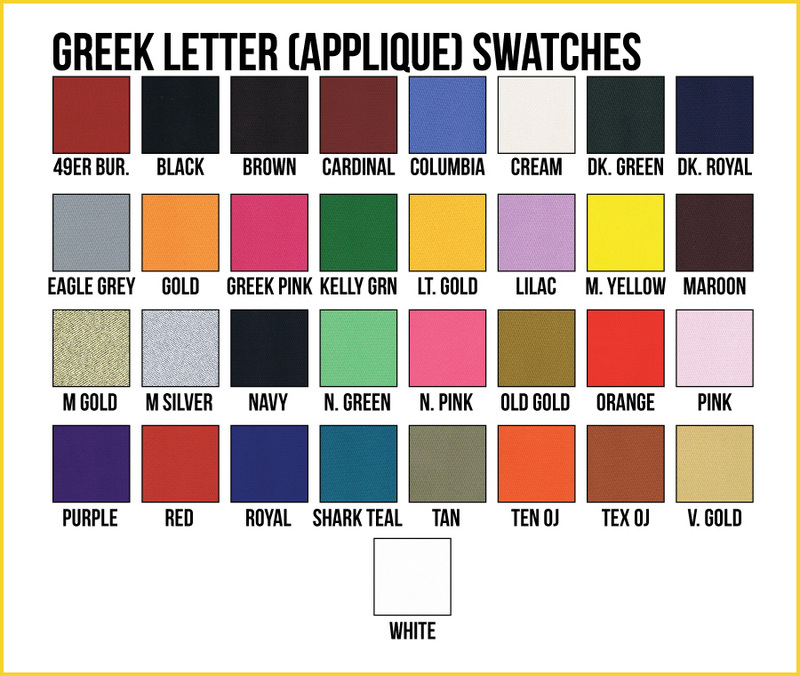 Comes standard with 4" twill letters in the color and thread of your choice. This high quality sweatshirt is guaranteed to last so you can wear your chapter’s Greek Letters with pride for years to come. Great quality and feel. Came exactly the way i wanted it to and my little loves it! It was sadly a little smaller then I anticipated, but besides that its great! We've ordered a bunch of sweaters in the past from other retailers. Although a bit pricey since we are in Canada and ordered quick shipping we could not be happier with the quality. Shipped me some theta chi's letters from New Jersey, my little didn't have his letters for initiation.